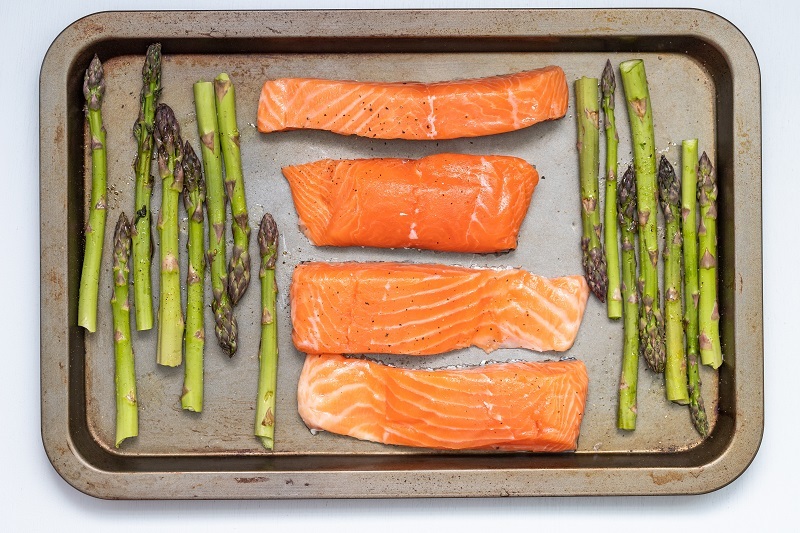 What's so awesome about sheet pan meals? Well, they certainly aren't a new or novel idea, but dang, do they make dinner a breeze. 1. Easy. In most cases, sheet pan meals are a meat, veggies and maybe a sauce or marinade. They are simple, yet delicious, and anyone can pull them off. 2. Variety. By switching up the meats and veggies, the options are literally endless for sheet pan meal combos. Once you try a few, you really don't even need a recipe anymore because they are pert near impossible to mess up. 3. Minimal Clean-up. One sheet pan, a cutting board and a knife is pretty much all you need to pull off a sheet pan meal. Put a layer of tin foil or a silicon baking mat on the sheet pan and clean up is even easier. Less clean up = more time doing other things, like mindlessly scrolling through Instagram (what, don't judge!). 4. Flexibility. If you don't have the exact ingredients needed for a sheet pan meal recipe you found, the chances that you can still make it are 99.96% Swap out a veggie, change up the seasonings a bit or change the meat completely and I'm confident you'll still have an amazing meal. 5. Cheap. Chicken thighs are roughly $1.19/lb and you can get a pan full of potatoes and veggies for $5. You can easily feed a family of 4-6 with 8 chicken thighs and those veggies for $10 in most cases. SCORE. You can stretch meat and veggies pretty far, especially if you make some quinoa or other side dish as well. Sheet pan meals are here to stay at our house, and I'm excited to try even more combinations soon! You can also do meals like this on the grill in the summer. Find more sheet pan meal ideas here.